As the 7 Stanford teams head to Orange County for the Junior Olympics, you can follow the game results on Twitter. If you don’t have a Twitter account yet, it’s easy to set one up. Just follow these instructions from Twitter. 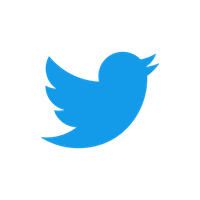 If you want to learn more about how Twitter works, check out their Welcome to Twitter series. The Stanford Girls WP Club official tweets are on @stanfordgirlswp. Stanford coaches will be updating this account with game results throughout the tournament. The Junior Olympics have created separate Twitter accounts for each of the age groups and Championship vs Classic divisions. Check out the NJO on Twitter page for all the details, and follow the age group(s) you’re interested in. Remember these accounts will have results for all games in that age group. You can click on some of the boys’ Twitter accounts to get an idea of how they are being used. Subscribe to a daily email sent whenever new information is posted to the website. After clicking the link, you’ll need to fill in your email address and answer the anti-spam word. Make sure to click the link in the confirmation email you receive in order to activate your subscription. This RSS feed can be used in feed readers such as Google Reader. Clicking the link in most browsers will bring up some options for subscribing to the RSS feed. For any suggestions or problems with the website, you can contact the webmaster at: web@stanfordwaterpolo.com.